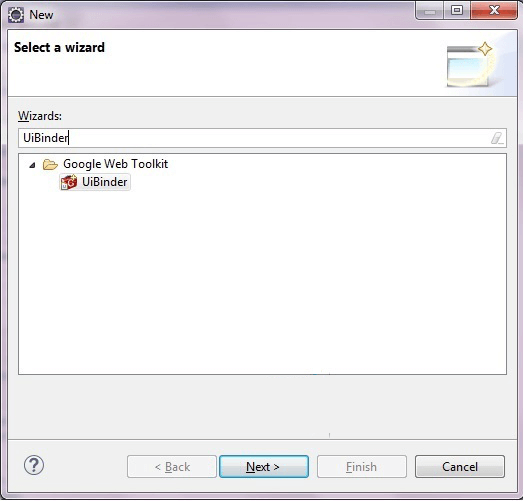 GWT UI Binder is used to define the user interface in a declarative way i.e. 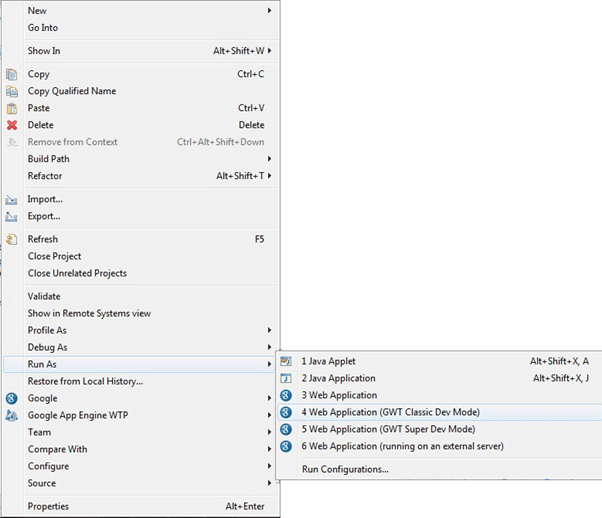 it separates the programming logic from the UI of the web application build using GWT (Google Web Toolkit). GWT UI Binder is a framework that allows user to build GWT application as HTML pages. HTML is the best way to design a UI. Since GWT is based on Java, if the developer has the familiarity with XHTML, HTML, XML and CSS then UI can be easily designed in GWT. It is similar to what is JSP to Servlets. 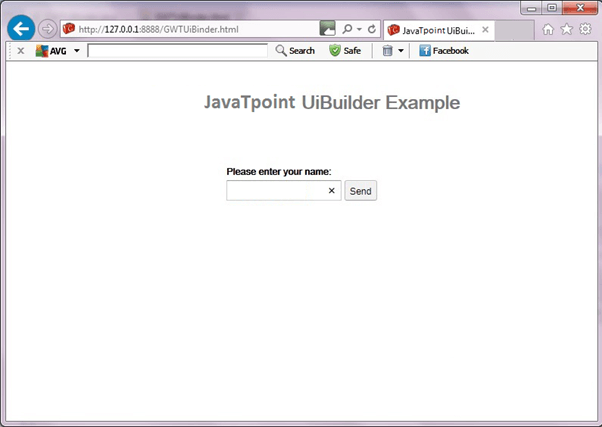 Step 8: Attach CSS resource in Java UI Code file. All the above steps in sequential order allows developer to create a GWT application with separation of programming logic and front-end or UI. 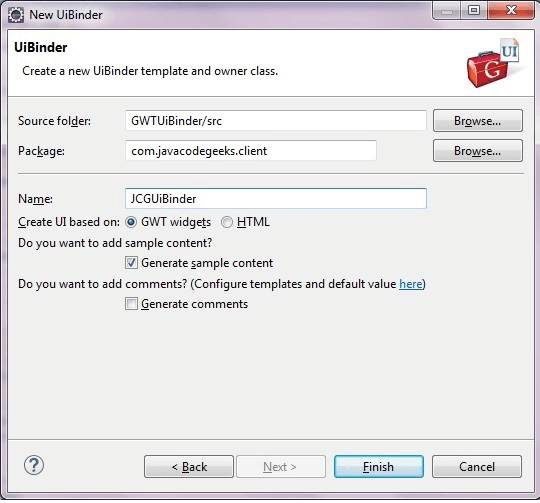 Step 1: To create a UiBinder select the client package and click File → New → Other. In the Wizard type UiBinder. Step 2: Select UiBinder and click Next. In the next screen give the name of UiBinder class. Leave the other values as default. Step 3: This is the GWT configuration file. The entry-point and the source. The source specify the paths for translatable code. Step 4: Compile i.e. 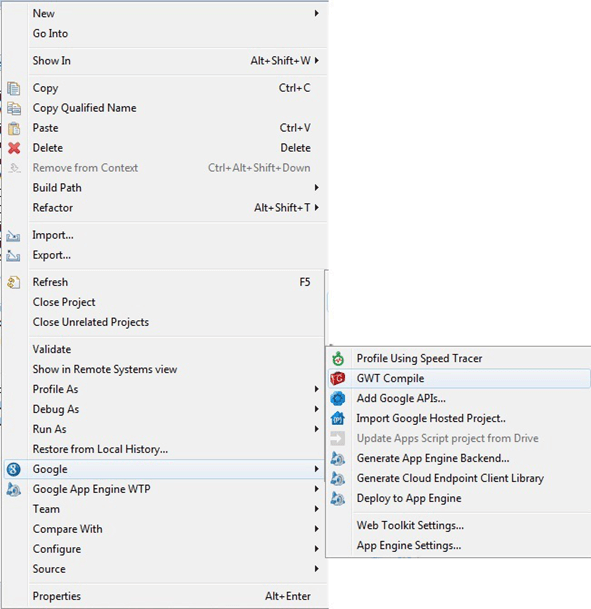 to compile the application right click on the project, Google → GWT Compile. This will create the java script code from the client class. Below is the output which will display on the Eclipse. To run the application right click on the project, select Run As → Web Application (GWT Classic Dev Mode). http://127.0.0.1:8888/GWTUiBinder.html copy url and run on browser.